Everybody should learn to swim. Swimming is not an instinctive skill for humans. All adults and children should learn to swim. The pools must be permitted by local government agency that oversees aquatic facilities. The pool, deck, bathrooms, changing rooms must be clean and sanitary. Babies need warm water to have a successful experience. The water temperature of 87*- 93*F is recommended. It is suggested that wet suits be used for temperatures lower than 90*. All babies must wear an approved, snug fitting swim diaper in the pool. There should be a 1 to 6 instructor/child ratio with a parent or caregiver holding the child and participating in the lesson. 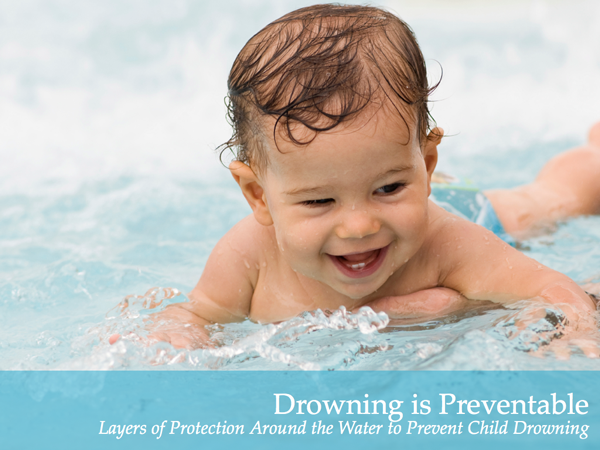 Instructors must have a national swimming certification and a basic course in infant water safety. They should be certified in CPR and First Aid for the professional rescuer. Background checks should be required for every instructor & staff member at an aquatic facility. A good program builds upon a child’s successes. Instruction style should always be nurturing, positive and supportive. Instructors should be patient, gentle and enthusiastic to be successful. Water safety skills should be taught. The lesson plans should be ordered in a step-by-step plan of development where one skill is built upon another in proper order. The skills should be practiced until they are mastered. The parent should know exactly what is expected of the child in each level of the program.